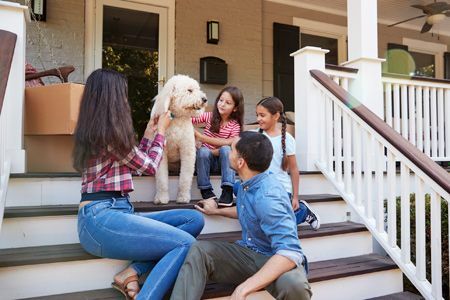 Moving with children and pets can be an exciting time. However, it can quickly become challenging and even overwhelming, especially if your kids have never experienced moving to a new home. While hiring experienced Charlotte movers is one way to alleviate stress, it is important to create an open and honest dialogue with your children before the moving date arrives. In order to smooth the process of moving, there are a few tips to keep in mind to ensure all members of your household feel calm and prepared at all times. Kids are not always familiar with adult issues and are likely to feel confused when informed about an upcoming move. 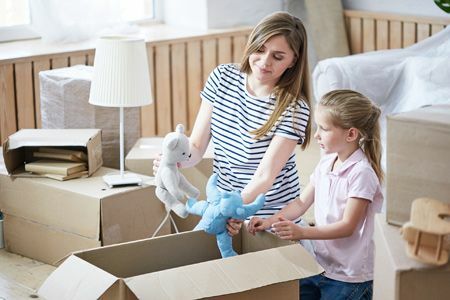 In order to eliminate the risk of your children feeling fearful and anxious about moving to a new home, be the first to tell them about the move yourself. Explain that all of your home’s furnishings and belongings are coming with your family, and nothing will be left behind. Share the news with excitement and enthusiasm to reassure your children they are safe and moving to your new home is a positive experience. Always maintain a positive attitude around your kids while you are in the process of packing, getting organized, and transferring belongings to your new home. Keep a smile on your face when your children inquire about the move and want to know more about their new bedrooms, backyards, and living space. A positive attitude helps to keep children calm even if they are not entirely aware of the situation and what is happening around them. Empowering your children or teen is another way to smooth the process of moving. If you are planning a moving or garage sale, as your children to find items they no longer want or use. Ask your teens to help with packing and get organized by working together in each of the rooms of your current house. Get your children involved in the move by researching the neighborhood you are moving to online. Show photos of surrounding schools, homes, and even local restaurants and other entertainment venues such as skating rinks, movie theaters, and kid-friendly parks. When your children feel excited and a sense of empowerment, they are more likely to remain involved and engaged with the moving process. Inform your children of your plans to keep your pets safe throughout the actual move. Ask your children to help gather and pack away pet toys, blankets, beds, collars, and IDs so they feel comforted that their beloved animals are coming along with the family. Young children especially benefit from this action as they may feel conflicted or confused about packing up their belongings and leaving their family home. Spend time reiterating that their toys, furniture, or belongings are not being thrown away. Instead, they are simply moving them from one location to the next. Alleviate any fears your children have by helping them label each box while explaining they are going to have a brand new room to live in and enjoy. Once you arrive at your new home, consider decorating the rooms of your kids in a similar fashion as your previous house to provide an additional sense of comfort to children who are less than thrilled about settling in. Allow your children to get creative upon moving into your new home when unpacking and decorating their room. When kids are able to define a space of their own, they feel less overwhelmed and more comforted in unfamiliar spaces. Making a local move does not have to feel hectic and emotionally taxing. When you choose to have an adventure together with your kids, enjoy the time spent together while looking for all of the positive aspects of your situation. If you are traveling to your new home together in a moving truck or in your family car, stop at local restaurants, parks, landmarks, and even fun shopping outlets to maximize the fun you have together. A move does not have to feel negative or daunting, especially with a bit of creativity while spending time together as a family. 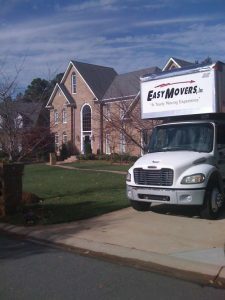 Hiring Easy Movers, and experienced Charlotte mover, is a great way to ease the transition of one home to the next. With the help of professional local movers and the assistance of your children, spend more time focusing on the positives of moving into a new home and making new memories and adventures together.